Join us for a hunt at Manitoba’s only 5 star full service caribou hunting lodge. Prices are in U.S. funds or equivalent, Please call for CDN Pricing. 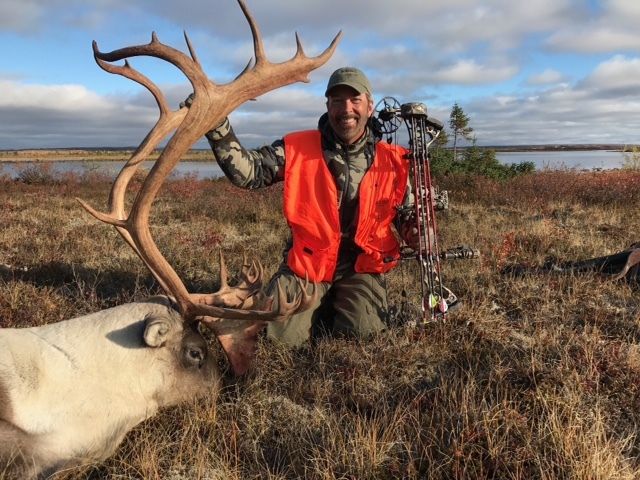 Please note – It remains the choice of the individual hunter to pursue 1 or 2 caribou, and is therefore priced as such. (Prices subject to change as per Manitoba Conservation) Trophy fees in place for successful harvest of caribou. Please see above. The above trip is combined with fantastic fall lake trout, northern pike and arctic grayling fishing. We can supply all the fishing gear. You will also have the opportunity to explore historical sites, search for historical artifacts or pick wild blueberries and cranberries. This is a trip that covers everything we do at Little Duck. Give us a call to find out all the details on our Manitoba Caribou hunts. Accommodations with private ensuite and daily maid service. A deposit equaling 50% of the total package is due within 14 days of booking. Deposits are non-refundable and non-transferable. All remaining balances are due in full 60 days prior to your trip date. If booking a year in advance, a $2,000 deposit is due within 14 days of booking. On January 15, (the year of your trip) the deposit needs to be brought to 50% of the total package price with the remaining balance due on July 1, prior to your hunt date. Full payment of reservation is due on all bookings made less than 90 days prior to arrival. Deposits and final payments can be paid with personal or business cheques along with money orders. Visa and MasterCard payments are also accepted; however, these transactions will be subject to a 3% surcharge.